Dr. Yitzchak Schechter ’95YC, ’99F knows all about the problems facing the Orthodox Jewish community, among them mental health issues, the so-called “shidduch crisis,” and kids at risk. But to find the data to support the theories of these communal issues, Schechter founded the Applied Research and Community Collaboration Institute (ARCC) which works to collect and analyze information and develop workable solutions for the mainstream and ultra-Orthodox communities. 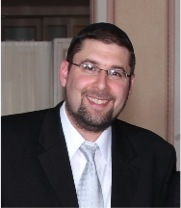 As director of the Center for Applied Psychology (CAPs) mental health clinic at Monsey’s Bikur Cholim, a position he has held since 2000, Schechter has worked closely with the Modern Orthodox and ultra-Orthodox communities. Over time, he has seen the stigma of receiving mental health treatment slowly dissipate. Schechter knew he would attend YU when it came time for college because YU’s Torah Umadda philosophy fit perfectly with his family’s core values of serious learning and engagement with the professional world and society at large. After starting as a computer science major, Schechter found that he was more interested in the way the mind—and not the computer monitor—works, as well as the way social systems function, and switched to a psychology major. He highlighted the courses he took with Joshua Bacon, Associate Professor of Psychology, as particularly illuminating. Schechter went on to attend YU’s Ferkauf Graduate School of Psychology, during which time he also learned frequently with Rabbi Mayer Twersky at RIETS. After obtaining his graduate degree from Ferkauf, Schechter worked at Rockefeller University and NYU’s Nathan Kline Institute. He also worked part time at CAPs and helped to build it until 2005, when the clinic was officially licensed by New York State, and then switched to a full-time position. Schechter and his staff at the clinic service the needs of the ultra-Orthodox, Hasidic community. This year alone, the clinic has served close to 1,000 clients who have visited the clinic nearly 20,000 times. His clients range from Modern Orthodox to yeshivish as well as ultra-Orthodox Jews from a variety of Hasidic sects, who travel to Schechter’s clinic from places like Monroe, Kiryas Joel, Williamsburg, Boro Park and Flatbush. Schechter remains proud of his continuing identification with YU. In 2002, he started a doctoral internship program that employs many Stern, Yeshiva College and Ferkauf students interested in pursuing a professional career in psychology. One thing that’s very important to Schechter is that these students, as well as any other intern at his clinic, receive sensitivity training to better understand the cultural, religious and psychosocial issues at play within the Hasidic community. This steadfast allegiance to training sensitive and respectful therapists plays an important role in the decreasing stigma of the Orthodox community and its willingness to seek professional help. Schechter also taught the first Psychology of Religion course at Stern College for Women in 2000. ARCC, Schechter’s newest venture, is a natural evolution of the increase in clients and lessening stigma attached to mental health. In other words, now that Schechter and his staff see what the problems are, they want to help solve them. ARCC’s goal is to help decision makers—parents, schools, rabbis and therapists—analyze data to make informed decisions. Schechter and his staff are in the midst of several long-term studies on obsessive-compulsive disorder and whether it really affects the Orthodox community to a greater extent than the general population, and whether premarital doubt translates into later challenges in a marriage, among others. “It’s great to accomplish meaningful clinical work, but you can’t just stay there and not use the knowledge you’ve gained to help the wider community,” said Schechter. Schechter’s eagerness to help people beyond the Jewish community is just another example of YU graduates seeking to use their education for the benefit of the greater good. And Schechter credits YU for much of his success and for forming his ideals about the kind of work he wants to do. His wife, Shoshana Schechter ’91S, is an Instructor of Bible at Stern College for Women and Director of the Basic Jewish Studies Program (Mechinah), and their oldest son is currently a student at the Yeshiva University High School for Boys. The Schechters have five children: Yoni ’15YUHSB, Ayelet, Yedidya, Noam and Nava.